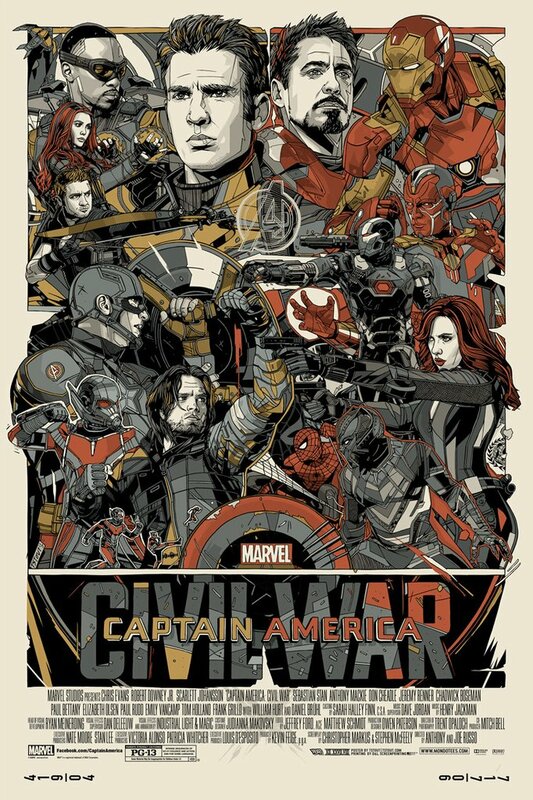 Tomorrow Mondo will sell Tyler Stout’s new poster for Captain America: Civil War. 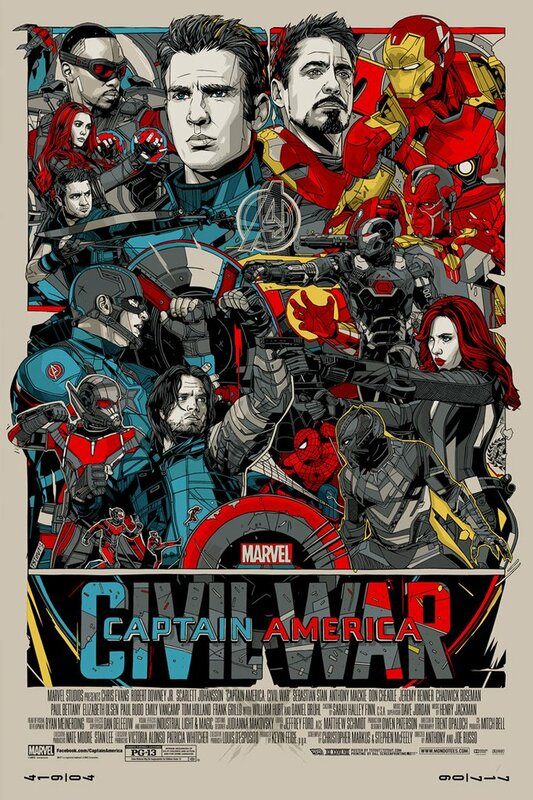 This is a 24″ x 36″ screenprint, has an edition of 750, and will cost $65. The variant has an edition of 325 and will cost $110. 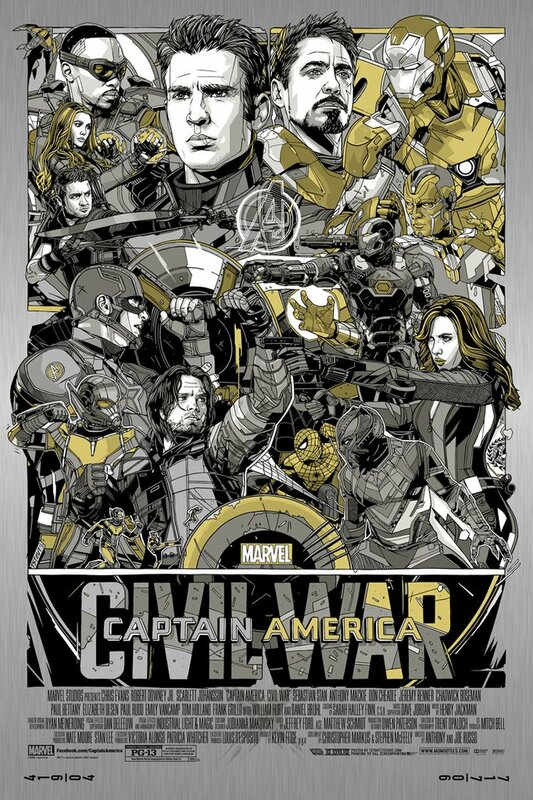 The vibranium metal variant has an edition of 80 and will cost $350. These go up tomorrow (Thursday, February 23rd) at a random time. Visit Mondotees.com.